A-ICE’s Departure Control System A-DCS and Weight and Balance A-WBS selected by Arkia Airlines. 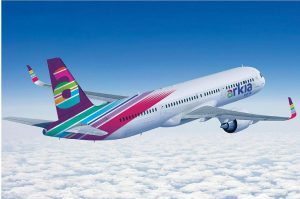 Arkia Airlines is the leader charter carrier in Israel, and the second carrier in terms of scheduled flights. It has an aggressive plan on the market, with orders for two A321NEOS LR and two A330NEOS. The company, which already covers some western Europe destinations, is also opening new routes to India and Thailand. In Arkia’s plan of growing, they decided to implement their whole PSS systems with state-of-the-art solutions, and they chose A-ICE as a provider of Departure Control System and Weight and Balance. A-WBS is often used integrated with third party DCSs and A-DCS integrates with third party reservation systems. The new suite of systems will be operational in March 2018 in Tel Aviv Terminal 1 and, according to airport official, April 2019 fully operational in Elat Airport (a brand new airport in the south of Israel facing the Red Sea). A-ICE is proud of having been selected and of being a partner of this dynamic and determined airline. The level of quality and performance of our systems, together with the competitiveness on the market, were the key success factors. “We immediately found A-WBS very intuitive and easy-to-use, compared with other weight and balance software in the market” Philip Berman – operations director – says, “The flexibility of A-ICE’s software and architecture confirmed that we made the right choice”. Philip continues “we also decided to deploy A-ICE’s DCS in Elat and in the near future also in the new upcoming destinations in Asia: the system is so fast and simple that it’s impressively easy to deploy and rapid to be used at any station”.